A friend (hey there Papih Pajal!) posted this pic a while ago on his Path. Even then I knew I would shared the feeling with Batman soon. But soon came even sooner. 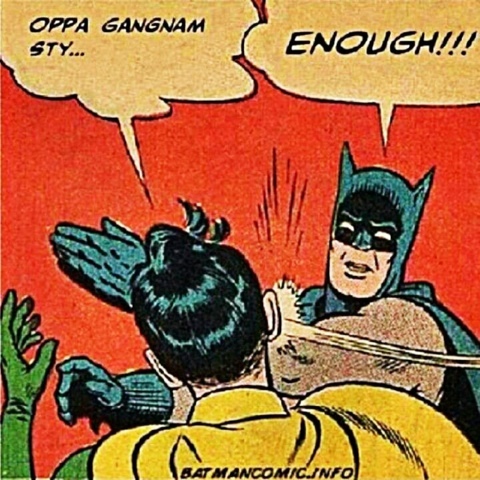 Kudos for the Korean for the world invasion, but I had about enough of the Gangnam fever. So please, move on people. Tentang Belajar Membaca, part deux. Tentang Belajar Membaca, part uno.